A 33-year-old female has just been brought into your tertiary care ED. She was dragged out of a house fire and is unresponsive. The etiology of the fire is unclear, but the home was severely damaged. The EMS crew that transported her noted significant burns across her chest, abdomen, arm, and leg. A 33 year-old female is dragged out of a burning house and presents to the ED unresponsive. She has soot on her face, singed eyebrows, and burns to her entire chest, the front of her right arm, and part of her right leg. She is hypotensive and tachycardic with a GCS of 3. The team should proceed to intubate and fluid resuscitate. After this, the team will receive a critical VBG result that reveals profound metabolic acidosis, carboxyhemoglobin of 25 and a lactate of 11. If the potential for cyanide toxicity is recognized and treated, the case will end. If it is not, the patient will proceed to VT arrest. This case is written by Dr. Donika Orlich. She is a staff physician practising in the Greater Toronto Area. She completed her Emergency Medicine training at McMaster University and also obtained a fellowship in Simulation and Medical Education. That hypoglycemia (and neuroglycopenia) is a manifestation of ASA toxicity. Urine alkalinization (and correction of hypokalemia) is an important initial treatment for suspected toxicity. Should a patient require intubation, it is paramount to set the ventilator to match the patient’s pre-intubation respiratory rate as best as possible. Dialysis is indicated in intubated patients and also in patients with profoundly altered mental status, high measured ASA levels, and renal failure. You are working at a community hospital. The triage nurse comes to tell you that they have just put an 82 year-old male in a resuscitation room. He was found unresponsive by his daughter and was brought in by EMS. In triage he was profoundly altered, febrile and hypotensive. His daughter is in the room with him. 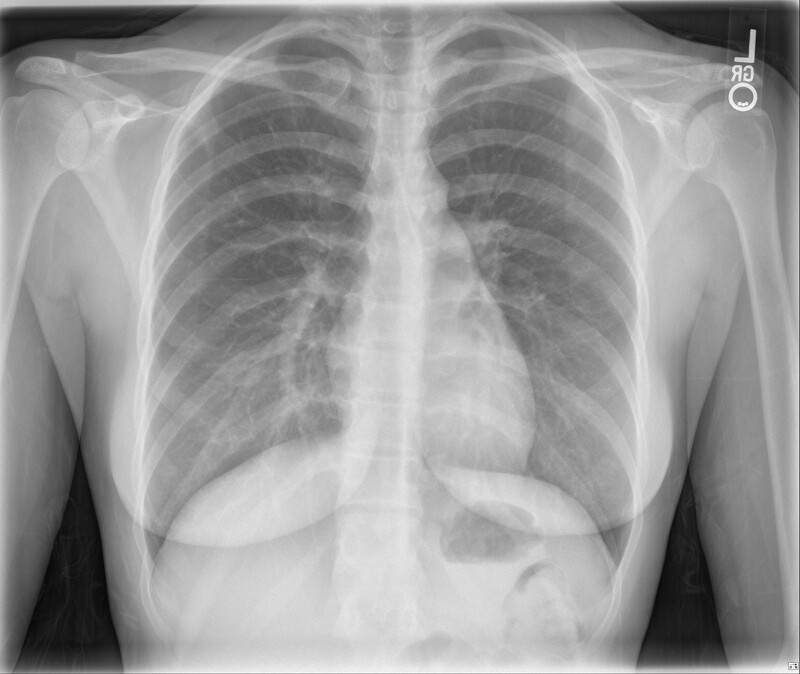 The learner will be presented with an altered febrile patient, requiring an initial broad work-up and management plan. The learner will receive a critical VBG report of severe acidosis, hypoglycemia and hypokalemia, requiring management. Following this, the rest of the blood work and investigations will come back, giving the diagnosis of salicylate overdose. The patient’s mental status will continue to decline and learners should proceed to intubate the patient, anticipating issues given the acid-base status. The learner should also initiate urinary alkalinization and make arrangements for urgent dialysis. All U/S images are courtesy of McMaster PoCUS Subspecialty Training Program. This case is written by Dr. Donika Orlich. She is a PGY5 Emergency Medicine resident at McMaster University who also completed a fellowship in Simulation and Medical Education last year. 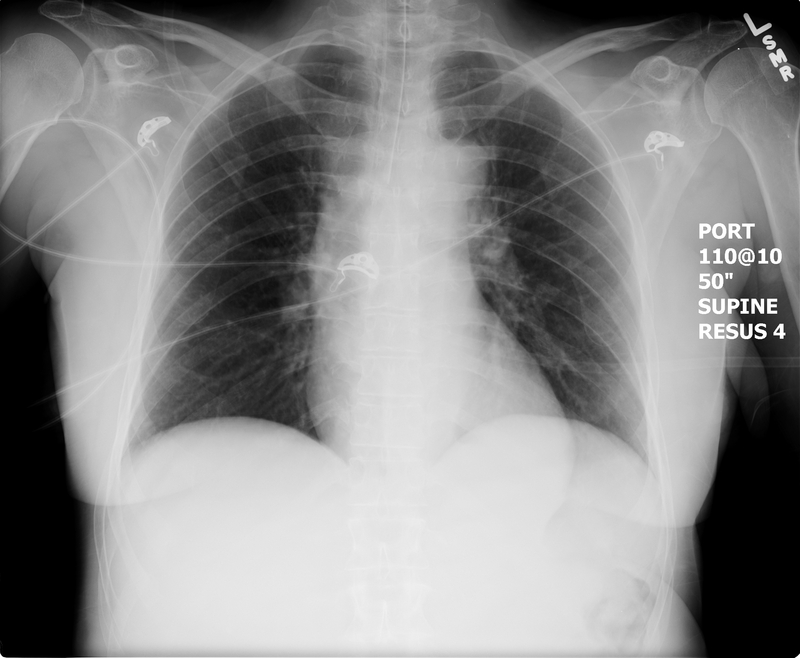 A 27-year-old female presents hot and altered to the ED with EMS. Likely cause is serotonin syndrome, precipitated by being on citalopram and methadone in the setting of a recent cocaine binge (all increase serotonin levels). She will develop Torsades de Pointes as a complication which must be treated with MgSO4. She will become increasingly agitated and febrile, requiring IV benzodiazepines, active cooling, and consideration of intubation with paralysis to achieve normothermia. A 27-year-old female was found by her boyfriend this morning seeming confused and warm. He called EMS. She has a history of opioid abuse and is on methadone, but he swears that she has takes this as prescribed and has not done any prescription pain meds lately. They did “party a lot yesterday,” but she was otherwise well, with no complaints of fever before today. With EMS the patient was noted to be diaphoretic, febrile and quite agitated. She has been placed in a resuscitation bay. A 48-year-old female presents to the ED with an unknown overdose. She was out drinking with friends until an hour ago. Her daughter came home and found her with vomit around her, empty pill bottles, and bits of pills in her vomit. A 48-year-old female presents with a possible multi-drug overdose including glyburide, clonazepam and nifedipine. She will remain hypotensive throughout the case, despite treatment with calcium, high dose insulin, and other vasopressors. She will also have progressive respiratory depression and will eventually require intubation. She will then proceed to arrest. The team will be expected to give intralipid once the patient has arrested. Midway through the case, Patient B will arrive. The case will begin with the arrival of patient from a house fire who has 30%TBSA burns. The team will be expected to recognize the need for intubation and fluid resuscitation. After successful intubation, a second patient will arrive from an altercation outside a bar. He appears to have a blunt traumatic head injury after being repeatedly kicked. The team is expected to recognize hypoglycemia in the context of a minor head injury and provide immediate glucose replacement. During the management of the head injured patient, the burn patient will continue to by hypotensive. The team will need to recognize the possibility of CN toxicity. The patient will also become more difficult to ventilate and will require an escharotomy. EMS has just brought you to a patient with a GCS of 3. He was found in the back alley behind a drug store with no identifying information. He is not known to EMS or to your department. He appears to be in his 30s or 40s. A 46 year-old male presents with a GCS of 3 after being found in the back alley behind a drug store. The team will need to work through a broad differential diagnosis and recognize the need to intubate the patient. If they try naloxone, it will have no effect. After intubation, the team will receive critical VBG results showing a profound metabolic acidosis with a significant anion gap. The goal is to trigger the team to work through the possible causes of an elevated anion gap, including toxic alcohols. This case is written by Dr. Kyla Caners. She is a PGY5 Emergency Medicine resident at McMaster University and is also one of the Editors-in-Chief here at EMSimCases. This case is likely to push the knowledge capacity of junior learners. 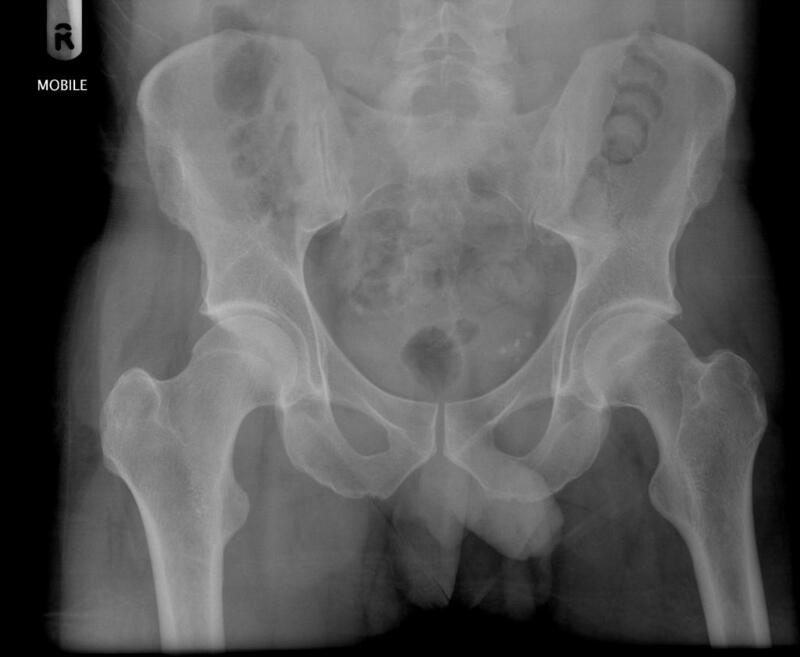 For senior learners, the case could be modified to include a less pathognomonic rhythm at the case onset. For example, a slow a fib could be used. Rapidly alternating between fast and slow rhythms would be another excellent alternative. A 90 year-old woman is brought to ED by her daughter because of confusion. She recently had a bought of vomiting and diarrhea and hasn’t been taking much PO since. Today, she is less responsive, seems confused, and is complaining of being dizzy. The team will be given a copy of the patient’s medication list, which will include digoxin. On arrival, the patient will be hypotensive and her rhythm will be bi-directional VT. Ideally, the team should give digibind. If they do not, they will receive blood work back with a high level to trigger administration. Intubation of a patient with ASA toxicity is high-risk due to their requirement for a high respiratory rate. In fact, in the context of ASA overdose, intubation is an indication for dialysis. A 22 year-old female presents to the ED saying she just ingested 60 tablets of ASA because she wants to die. Her mom found her while she was finishing the bottle of 325mg tabs approximately 60 minutes ago and called EMS. The patient is complaining of nausea and tinnitus. 22 year-old female presents saying she just ingested 60 tablets of ASA because she wants to die. Her mom found her while she was finishing the bottle of 325mg tabs approximately 60 minutes ago and called EMS. The patient is complaining of nausea and tinnitus and is tachypneic. The team should consider activated charcoal and alkalinize the urine. If they do not initiate treatments, they will receive a critical VBG showing a mixed respiratory alkalosis and metabolic acidosis. The patient will then become somnolent. The team will be expected to check her blood sugar and call for dialysis. They will also need to intubate and recognize the need to hyperventilate and dialyze.